Appearance : The car is available in six beautiful colors – Habanaro Red, Alabaster Silver, Deep Sea Blue, Tafeta White, Crystal Black Pearl and Sherbet Blue. The halogen lights, sleek bumpers, alloy wheels and body colored door handles give an elegant look to the car. The rear side is adorned with tail gate spoiler. Comfort: The car is extremely spacious. The front console box has separate pocket, cup holders even at door pockets, Seat Back Pocket (Passenger Side), Steering Mounted Audio Control, Front and Rear Speakers, Auto Volume by Speed. The Magic Seat is a special comfort feature of the car. The car has additional comfort features like Upper and Lower Glove Box, Rear Door Bottle Holder, Rear AV Vents, Tilt Steering Wheels, Adjustable Driver Seat and Coat Hanger. Safety: The car has been built on Advance Compatibility Engineering (ACE) body. The design is aimed at not only protecting the car occupants by also the pedestrians. The G-Force Control Technology (G-Con) controls impact energy at the time of collision. The car is fitted with High Mount Stop Lamp, Rear Wiper, Rear Windshield Defogger, Side Rear View Mirror, Driver Side Auto Pinch Guard, Driver Seat Belt Reminder, ECU Immobilizer, EBD (Electronic Brake-Force Distribution), ABS with Brake Assist, Driver and Front Passenger SRS Airbags and Pretensioner Seat Belt with Load Limiter. Engine: Honda Jazz has 1.2 L, 1198 cc, i-VTEC (Variable Valve Timing with Electronic Lift Control) engine which churns a power of 90 bhp at 6200 rpm and 110 Nm torque at 4800 rpm. Honda Jazz Active – Rs.7,46,455. Honda Jazz Basic – Rs. 7,11,000. Honda Jazz Mode – Rs.7,36,912. 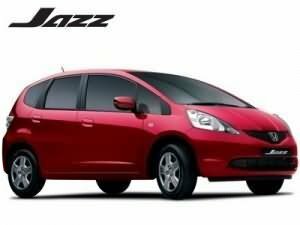 Honda Jazz Select Edition – Rs.7,21,000. Honda Jazz Select Edition Active – Rs. 7,56,455. Honda Jazz Select Edition Mode – Rs. 7,46,912. The above specified are various models of Honda Jazz with their tentative prices (taking Mumbai as the base price location). The prices specified are approximate prices which exclude tax, registration, insurance and cost of accessories.